About 100 Ontario companies are expressing "serious reservations" about the new provincial pension plan and its impact on jobs and the economy. About 100 Ontario companies, including Maple Leaf Foods, want the Wynne government to clarify some details of the new pension plan. 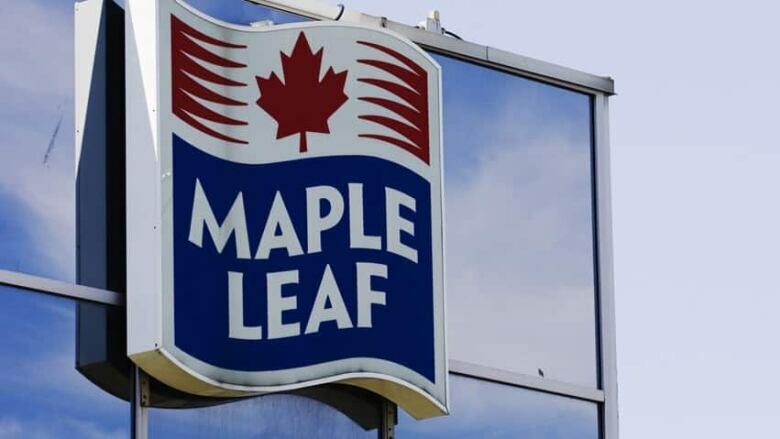 Employers including Maple Leaf Foods, Ford of Canada, Magna International, IBM and Union Gas signed a letter by the Ontario Chamber of Commerce urging the government to quickly clarify some details of the new pension plan. The Ontario Retirement Pension Plan will require mandatory contributions from employers and workers at any company that does not already offer a workplace pension. Companies will have to pay premiums of 1.9 per cent for each employee, up to $1,643 a year, and the workers will pay an equal amount. The Chamber of Commerce says the economic impact of the provincial pension remains the primary concern of employers, warning that 44 per cent of its members say they will reduce their payroll or hire fewer workers. The Liberal government is required to provide a cost-benefit analysis of the plan by the end of the year. "We strongly encourage the government to beat that deadline and release the results of its analysis before moving forward with further decisions on ORPP design parameters," wrote Chamber president and CEO Allan O'Dette. In the legislature Wednesday, the Progressive Conservatives said employers and employees alike need information now on the impact of the pension plan, which they warned could cost up to 40,000 jobs. "We've had enough of feel-good emotional arguments and meetings around the province. We need data," said PC critic Julia Munro. "We need to know how many people will lose their jobs. We need to know how many more companies will shut their doors." Mitzie Hunter, the associate minister responsible for the pension plan, said only that the Liberals were "listening to business" and would have the cost analysis ready by the end of the year. Employers said they are also worried about the administrative costs of the new pension, especially after the federal government said it would refuse to help in any way to set up or run the provincial plan. The plan must ensure Ontarians get maximum return on their investment, and that means administration costs must be kept to a minimum, said O'Dette. "To date, there has been no information released about the projected cost to set up and administer a new pension plan and how the government will ensure that the plan remains cost-effective," he wrote. "Government must demonstrate its due diligence before the plan is implemented." The Liberals clarified some plan rules in August, saying Defined Contribution plans with a minimum annual contribution rate of eight per cent, and where employers match at least 50 per cent, would be considered "comparable" to the ORPP and thus exempt them from the new plan. Companies also want more clarification on exactly what types of savings plans and pooled registered pensions that would be considered comparable. "It is unclear just how many employers are now exempt," wrote O'Dette. "The government should release that number publicly so that Ontario employers and employees understand the extend of the ORPP's reach." The provincial pension has drawn repeated attacks from federal Conservative Leader Stephen Harper, who said he was "delighted" that his refusal to co-operate with "an enormous tax hike" was making it more difficult for Ontario to proceed. Premier Kathleen Wynne admits it would be easier if the federal government helped the province administer its pension plan, but vowed to proceed without knowing how much more it would cost because of Harper's position. Under the Ontario plan, which is designed to mirror the Canada Pension Plan, a person making $45,000 a year would contribute $2.16 a day, as would the employer, giving the employee $6,410 a year for life, starting at age 65. The plan will be phased-in, starting Jan. 1, 2017 for companies with 500 or more workers, expanding to companies with 50-to-499 workers in 2018 and to employers with fewer than 50 workers in 2019. Employers that have pension plans that are not comparable to the ORPP start contributions in 2020. Benefits will be paid to eligible recipients starting in 2022.